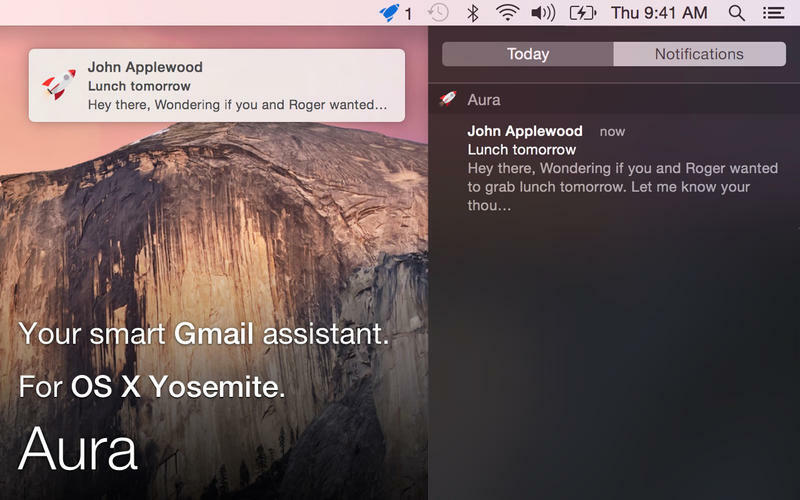 Gmailの新着メール通知をOS X Yosemiteの通知センターに表示してくれるアプリ「Aura」がリリース。 | AAPL Ch. Aura is my solution. 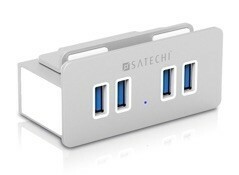 It’s incredibly light, fast and it does one thing well. 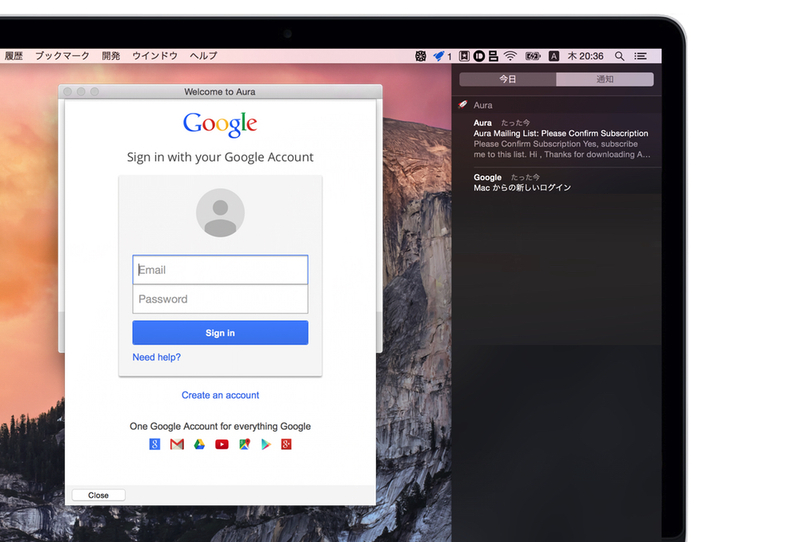 It will watch as many Gmail accounts as you have, and discreetly notify you using OS X native notifications. There’s a couple of other nice little features too. It has support for Gmail’s priority inbox, so you can take advantage of Google’s smart filtering and only get notifications for important messages.